Focus stacking is very important in photography. There are times when one shot of the subject isn’t enough, or maybe the shots look good, but they’re a bit out of focus. To correct that, there are focus stacking software available and some HDR Camera Apps as well. If you’re an aspiring photographer or if you just like taking photos and editing them in a way you haven’t done before, then our suggestions below will definitely work for you. Get your cameras ready and take those shots. These software will do the rest and improve the image’s quality to the best. 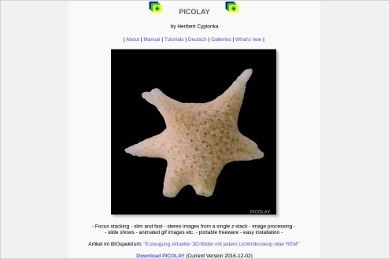 Picolay is a focus stacking software with multiple uses. It can perform image processing, create slide shows, make animated GIF images, and more. 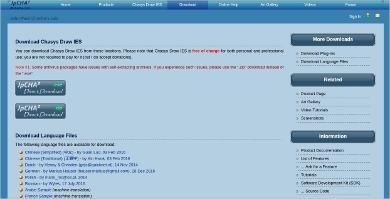 Chasys Draw is capable of providing super-resolution image stacking, supports icon editing, can convert multiple files images, and many more. Runs on Windows XP, 2003, Vista, 7, 8, and 10. 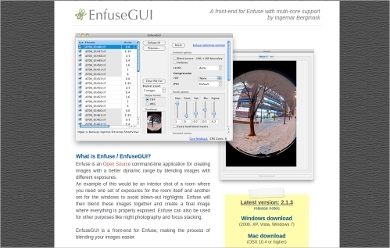 Enfuse makes images more compelling with its image blending tools. You can take shots with different exposures or angles and merge them into one unique picture. Supports Mac OSX 10.4 or higher and Windows XP, 2000, Vista, and 7. Helicon Focus was designed for macro and micro photography. Helicon has accurate color renditioning, state-of-the-art algorithm processes, and more. Built for scientific multidimensional images, ImageJ is an open source image processing software. It’s capable of performing a wide range of tasks and is highly flexible. It can also be used along with other software like MATLAB, KNIME, and ITK, to name a few. Stacking Photo is one of the Camera Apps for Samsung Galaxy S6. Designed for those who can’t bring their laptops everywhere and would opt to use their smartphones for stacking images instead. 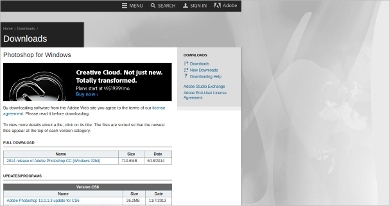 Adobe Photoshop is easy to use, has stock assets like design templates, graphics, images, etc., helps you design your business cards or brochures, and it can remaster photos, remove objects, and combine images. 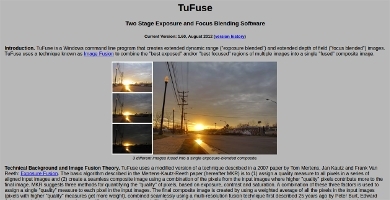 TuFuse is a focus and exposure blending software that generates focus blended and exposure blended images. It’s also an open source software and is free of charge. It’s compatible with any Windows OS. PhotoAcute Studio improves image resolution, increases the depth of field, corrects geometry distortions, and a whole lot more. 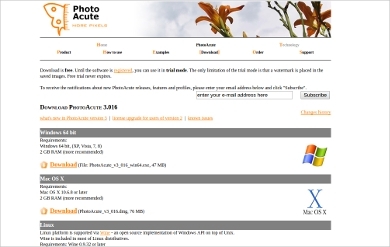 Compatible with Mac, Linux, Windows Phone, and Windows. Zerene Stacker has amazing retouching capabilities, clean handling of bristles and hairs, advanced stacking algorithms, and a lot more. Supports Linux, Windows XP, Vista, 7, 8, 10, and Mac OS X. Focus stacking software and apps are very useful. It lets us bring out a new kind of image from the picture we just took. We could make it brighter, darker, shinier, and a bunch of other things we could do. When we are using them, our imaginations are truly the limit. They have the same value as Mobile Camera Apps, which lets us edit our faces into funny-looking images. Lets us enhance our facial features, lighten our skin, etc. Today, we’re not just taking pictures anymore. We are now enhancing them to the fullest and making them the best.